Ahead of the 17th anniversary of the 9/11 terror attacks, a new memorial was unveiled at the site of the United Flight 93 crash in Pennsylvania over the weekend. 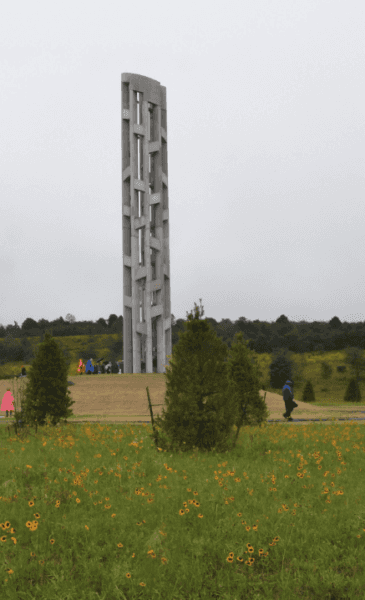 The $6 million project, “Tower of Voices,” has completed construction at the existing Flight 93 Memorial in Somerset County, Pa. 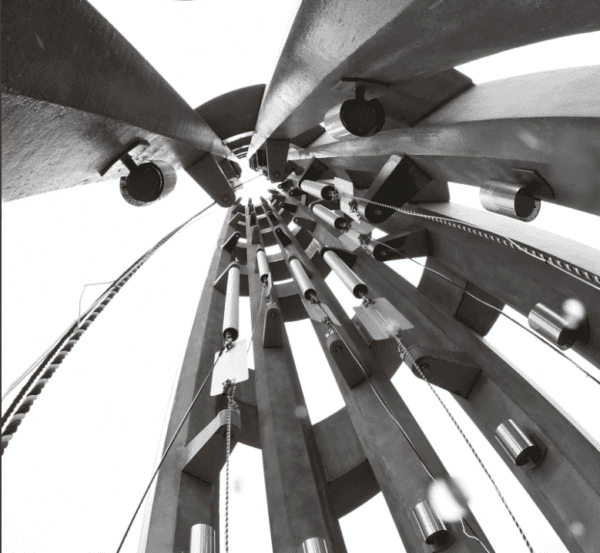 The 93-foot-tall structure holds 40 wind chimes, each honoring the 40 victims of the crash, Fox News reported Sunday. 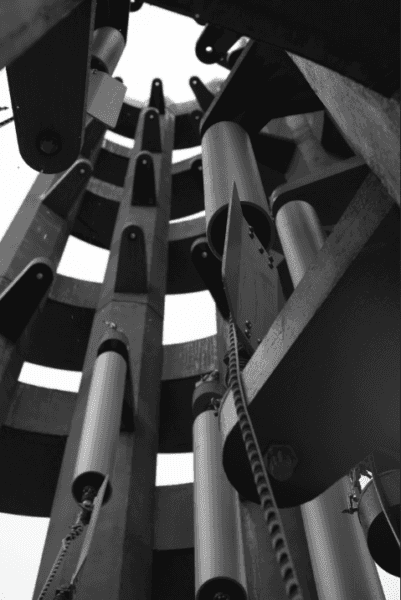 The unique structure isn’t just a memorial; it’s a musical instrument. The “intent is to create a set of 40 tones that can signify through consonance the serenity and nobility of the site while also through dissonance recalling the event that consecrated the site,” The National Park Service said on its website. “The chime system is designed using music theory to identify a mathematically developed range of frequencies needed to produce a distinct musical note associated with each chime,” it explained. The C-shaped tower is designed to allow air to flow through the openings, then echoing sound out of the open side. A dedication ceremony took place on Sept. 9 after a year of construction. Architect Paul Murdoch’s design was chosen out of at least 1,100 applications for the monument. The tower is the final addition to the Flight 93 Memorial, which has also added a Visitor’s Center and a Wall of Names monument over the past eight years. The tower is now the first visible structure at the memorial, and serves as a landmark at the 2,200-acre site. The 17th anniversary memorial ceremony was held Tuesday morning at 9:45 a.m., marking the time of the United 93 crash on Sept. 11, 2001. When hijackers breached the cockpit 45 minutes after takeoff, the passengers of United 93 formulated a plan to take back the plane. The plan was relayed through some of 40 calls made by passengers and crew. When a group of passengers rushed the cockpit, a struggle broke out, and the plane ultimately crashed into the ground. Their efforts prevented the plane from reaching the terrorists’ intended target, which was believed to be the White House. President Donald Trump attended the ceremony Tuesday morning, alongside Interior Secretary Ryan Zinke and Pennsylvania Gov. Tom Wolf, USA Today reported.